Anna Akhmatova won great fame as an Acmeist poet early in her life, only to fall out of favor with the Communist party and be condemned by Stalin's regime for her so-called "bourgeois" and "individualistic" subject matter. 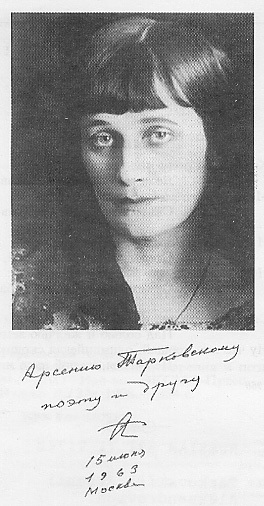 Following her husband's execution, Akhmatova spent thirty years of her life under government surveillance, dependent on friends for her survival. She was forbidden from writing, yet a few of her poems managed to be smuggled out: when permitted a visitor, Akhmatova would silently write a line on a leaf of cigarette paper and pass it to her guest, who would memorize the line and burn the scrap. Only after Stalin's death was she permitted to publish again and receive the recognition in her own country that she had attained abroad.